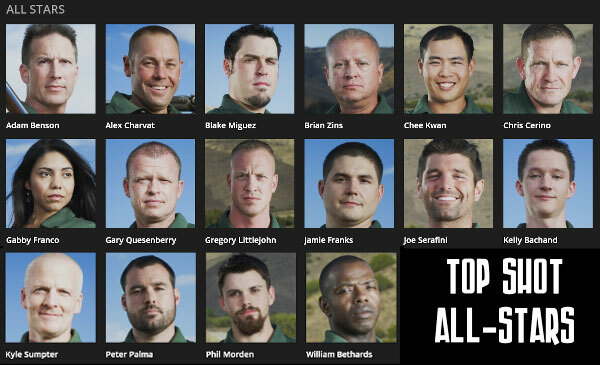 Season Five comes fully loaded with formidable, history-inspired challenges and a vast array of weapons. The first episode calls for mastery of a Soviet semi-automatic rifle, which was used in the 1941 Nazi invasion; a Tactical OBR with 20-round magazines; the Milkor M32A1 grenade launcher; and an FN-FAL self-loading selective-fire battle rifle, popular among NATO troops. 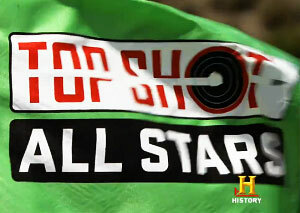 In addition, competitors must conquer a mortar-rigged barbed wire fence, an unstable platform and a bull’s eye target, where elimination is just a fraction of an inch away. 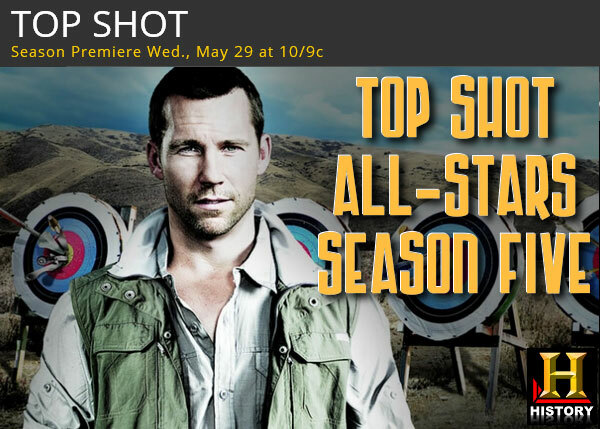 Share the post "Top Shot ALL STARS Premieres May 29 on History Channel"
There will be plenty to see and do at the NRA Show, with seminars, celebrity appearances, and banquets — along with priceless collections of firearms. Virtually all the major gunmakers in the country should have their latest products on display. In fact, there will be over 550 exhibitors whose displays will cover 400,000 square feet of exhibit hall space. The editors of American Hunter magazine have prepared a handy “round-up” of the new-for-2013 products on display in Houston. CLICK HERE for American Hunter’s 2013 New Product Guide. 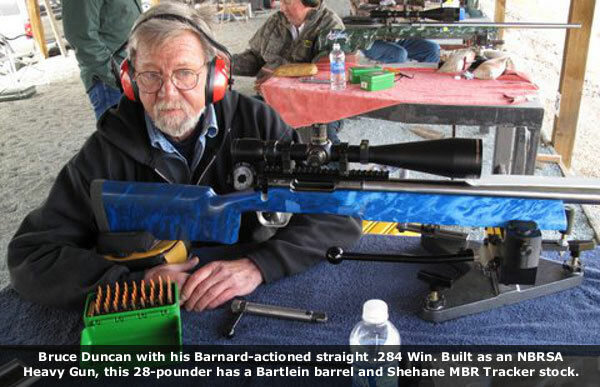 Share the post "NRA Annual Meeting & Exhibits May 3-5 in Houston, Texas"
Editor: With Jerry Tierney steering a straight .284 Win to victory at the recent NBRSA 1000-Yard Nationals, we thought readers would appreciate a “second look” at this story. Our friend Bruce Duncan talks about the .284 Win and explains why it has proven so successful in long-range competition. Sometime back–at least two years ago–Jerry Tierney confided in me that he was givng up on the 6.5s, and moving to the 7mms. “If you could only shoot one 7mm, Jerry,” I asked, “which would it be?” … “Straight 284 Win,” he answered. 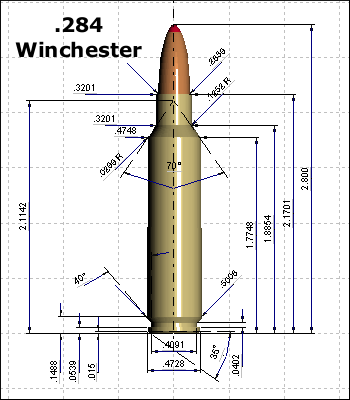 So when I was thinking to rebarrel my 6.5×47 Lapua, in the fall of 2010, the .284 Win came immediately to mind. I am not about to argue the primacy of any chambering. I look at the dominance of the 6mm Dasher, at Missoula, say, or the recent NBRSA 600- and 1000-Yard Nationals and wonder. And I’m reasonably convinced that none of us ever makes an entirely rational decision — one based purely on fact, and void of prejudice and emotion. But I knew a bunch of the U.S. F-Class guys were moving to 7mm, and decided to build one myself. This would be a NBRSA Heavy Gun, using my existing Barnard PC twin-port action, and my existing Shehane MBR Tracker stock. Going to the 7mm made sense to me — an accurate heavy bullet with a high BC, such as the Berger 7mm 180gr Hybrid, has a good chance of getting where one wants it to go. That’s particularly important when you’re shooting in tough wind conditions. I ordered a 1:9″-twist barrel from Bartlein with 5R rifling and 1.250″ straight contour. 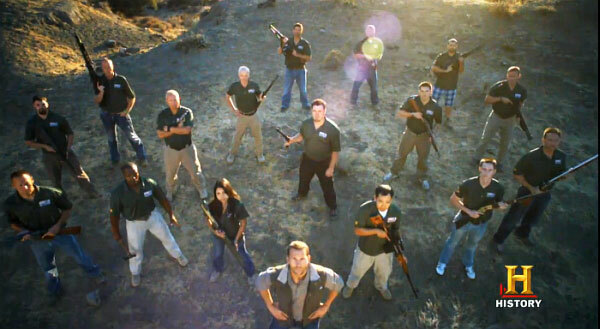 (By the way, MT Guns has racks of Bartlein barrels if you need one right away.) I spoke at length with Ray Bowman of Precision Rifle & Tool (PR&T), who has immense experience with the .284 Win, and his fingerprints on a lot of winning rifles. Ray was supportive. “The .284 Shehane isn’t enough bang for the buck”, Ray suggested. I sense he was telling me that I could achieve what I wanted with a standard .284 Win, without the cost of custom-run dies or the hassle of case-forming. I had David Kiff of Pacific Tool & Gauge cut me a reamer with a .313″ neck. I hadn’t decided on a bullet — I shoot Bergers exclusively — but watched the results from Phoenix in 2011, and noticed Bryan Litz did well with his .284 Win, shooting the Berger 180 Hybrid, as did Danny Biggs, shooting a 7mm RSAUM. I did some preliminary 100-yard load testing, and settled on a few loads I wanted to try (at longer range) with the Berger 180. Shooting in good conditions on an Ojai, California morning, I tried three, five-shot groups with three different loads at 600 yards. One load in particular gave me two groups out of three at 1.8xx”. That’s pretty darn good at 600. The only surprise was that the bullets were seated to have the ogive just kiss the lands, rather than the slight jump that most were using. So I was not surprised when Ed Docalavich, one of MT Guns clients, wrote to say how happy he was with the .284 Winchester we built for him. He attached one of the proverbial “Wallet Targets” from load testing. You can see it at right. 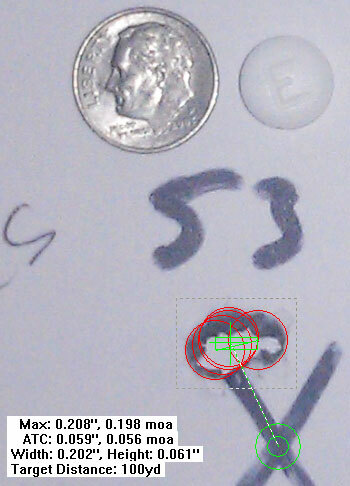 There are five (5) shots at 100 yards, in a ragged hole you could practically cover with the Excedrin tablet in the photo. Not bad for a stout-recoiling rifle. Ed’s gun features a Barnard P action, Bartlein 5R 1:9″-twist, 1.250″-straight barrel, chambered for a no-turn neck. Like I said, I’m not about to argue the primacy of any particular chambering, and my hat is off to the 6mms that do so well at 1000 yards. But I like the idea of a heavier bullet; the Berger 180gr Hybrid seems like magic. And as you might imagine, I don’t think it’s any coincidence at all that Ryan Pierce recently set a new 1000-Yard F-Open Record shooting the straight .284 Winchester. (READ Pierce Record Story). Share the post ".284 Win Redux — The Lure of the ‘Straight .284 Win’"